Several leading seminaries partner with Dallas International to offer their students specialized degrees. Students interested in these programs should apply for Graduate Admission at Dallas International as well completing admissions requirements for their seminary. If previously enrolled at Dallas International, you will need to change your admission status to “graduate”. 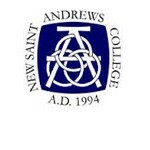 Students should consult their academic advisors at their seminary and Dallas International before enrolling in classes for this program. A cooperative program with Calvary University in Kansas City, MO, permits transfer of credits from Dallas International to Calvary. Students wishing to take graduate classes as part of a master’s degree from Calvary should register for them through Dallas International. The acceptance of Dallas International courses is subject to Calvary’s academic regulations and the approval of the student’s academic unit. For further information, contact the Admissions office at Calvary 800-326-3960. 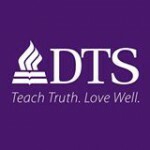 Dallas Theological Seminary (DTS) in Dallas, TX, offers a Master of Arts in Biblical Exegesis and Linguistics (MA/BEL) and a Master of Theology (ThM) with an emphasis in Bible Translation. Both of these degrees include 18 graduate credit hours at Dallas International. Students wishing to take Dallas International courses as part of a master’s degree from DTS should register for them through Dallas International. *See the prerequisites section below for information about Dallas International undergraduate prerequisite requirements for enrollment in these graduate courses. Many students choose to earn an MA with a major in Applied Linguistics from Dallas International in addition to their DTS degree. This requires taking only 4 more graduate credit hours at Dallas International (22 hours total) and passing Dallas International’s comprehensive exam. Please consult your Dallas International academic advisor if you are interested in this opportunity. Students should apply for Graduate Admission at Dallas International as well as DTS. Your letter of acceptance and/or good standing from DTS will automatically waive Dallas International’s GRE requirement. 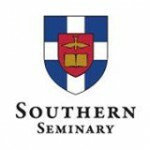 A dual degree program is available through Southern Baptist Theological Seminary (SBTS) in Louisville, KY, and Dallas International. Students will earn a Master of Arts with major in Applied Linguistics (Bible Translation concentration) from Dallas International and a Master of Divinity in Missions and Bible Translation from SBTS. Students will complete 95 graduate hours. This does not include any undergraduate or remedial prerequisites that may be required. Students wishing to take Dallas International courses as part of this dual degree program should register for them through Dallas International. For advising from SBTS, please direct inquiries to (502) 897-4680 or academicadvising@sbts.edu. The Dallas International academic advisor for students enrolled in the SBTS/Dallas International dual-degree program is Dr. Michael Boutin. Dallas International offers an MA with a major in Applied Linguistics and a concentration in Cross-cultural Service in partnership with Southwestern Baptist Theological Seminary (SWBTS) in Fort Worth, TX. SWBTS students can transfer 18 graduate credit hours from SWBTS toward this degree concentration. Students should take the remaining 19 graduate credit hours at Dallas International and pass Dallas International’s comprehensive exam to complete their degree. Please view the Cross-cultural Service concentration on our MA with major in Applied Linguistics page for more information about Dallas International course requirements. Students should register for Dallas International courses through Dallas International. For a pre-approved list of courses to transfer from SWBTS please consult your Dallas International academic advisor. Dr. Michael Boutin is the current academic advisor for students in this program. Prior to admission to the MA with a major in Applied Linguistics program, students are required to take or have taken elsewhere the following undergraduate courses. All of the above courses can be taken in one term at Dallas International. Students wanting to take graduate level linguistics courses without being admitted to an MA program should check the prerequisite courses needed for each course they intend to take at Dallas International.